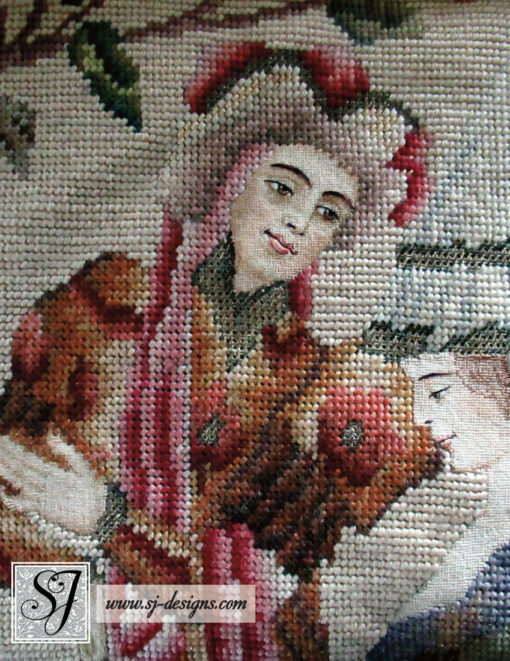 Extraordinary– and extraordinarily large– Victorian era needlepoint worked in the style of a medieval tapestry. 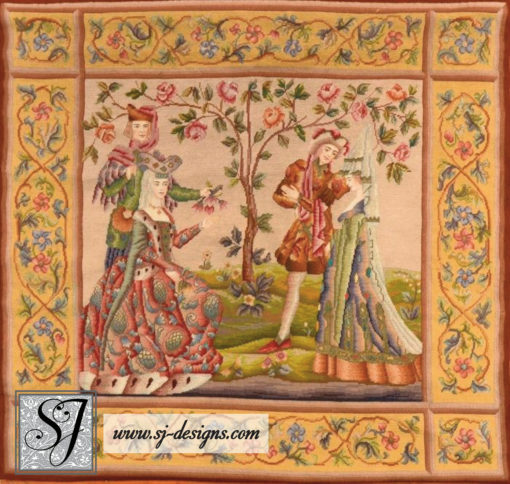 This treasure measures about 46″ wide by 45″ high. The workmanship is exceptional: faces and hands were stitched in silk thread over a single thread of the canvas ground (often called “petit point”) and then re-embroidered to create even more detail. 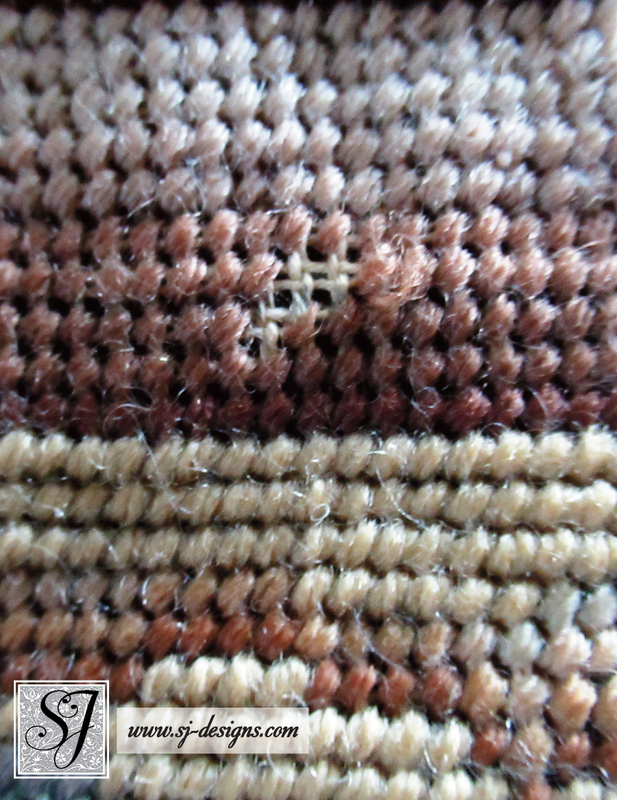 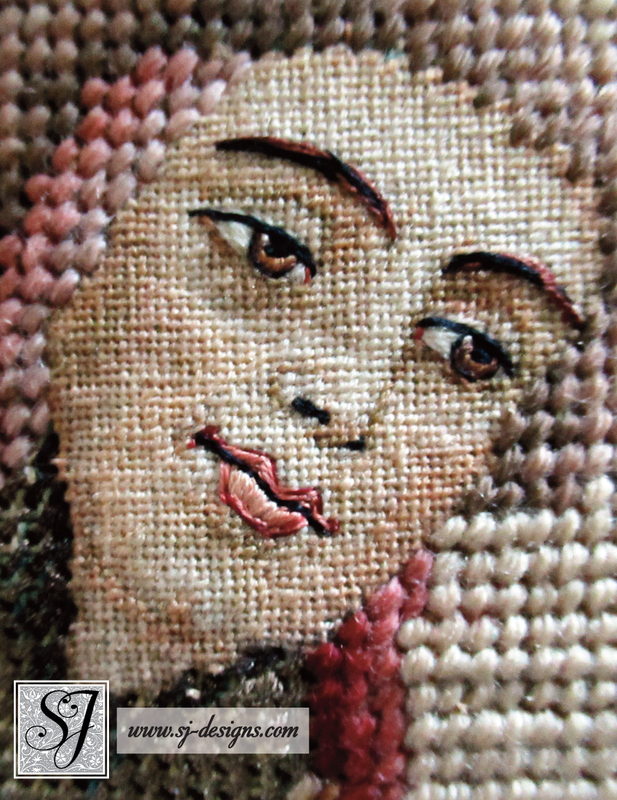 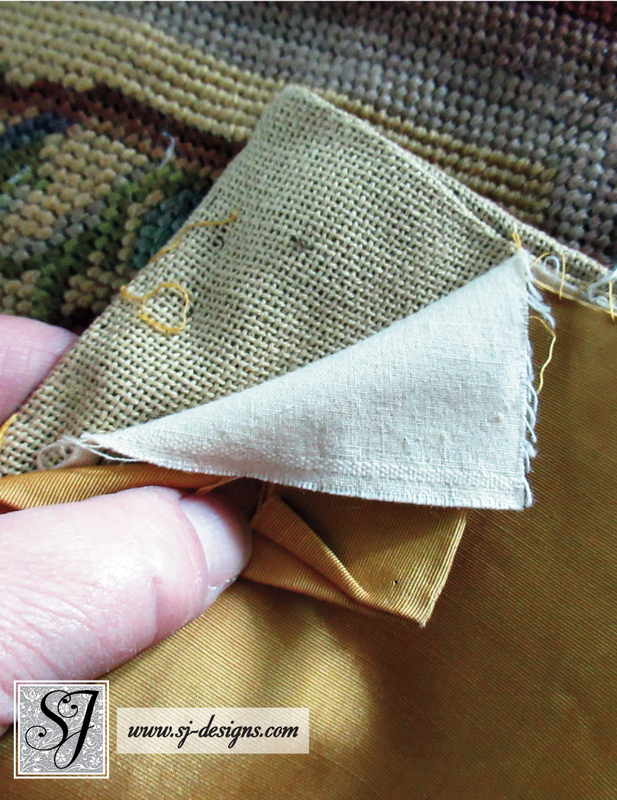 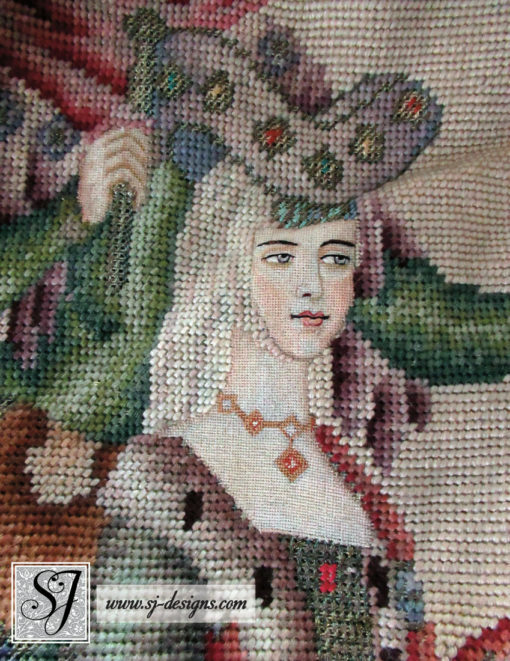 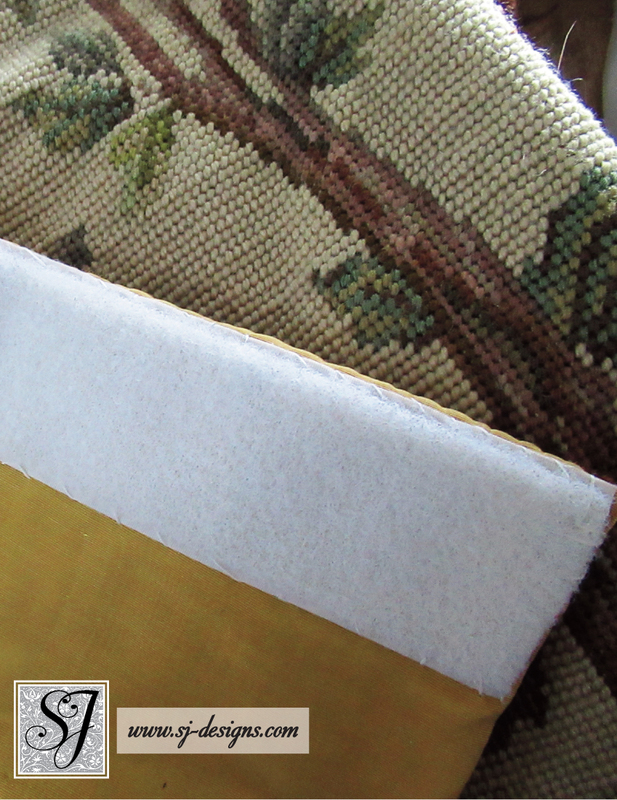 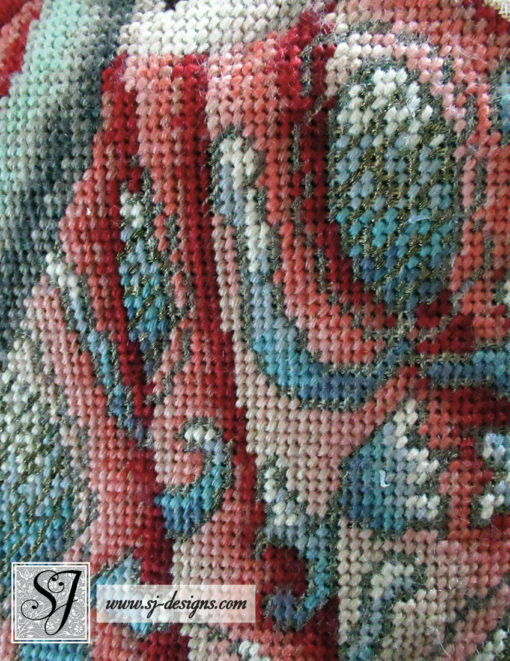 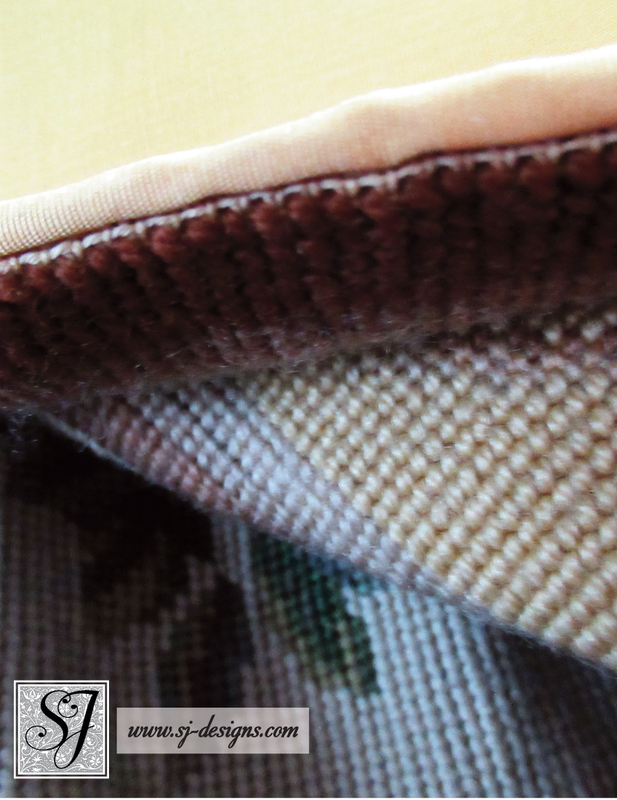 The background is worked in larger tent stitches (“gros point”) of tapestry wool. 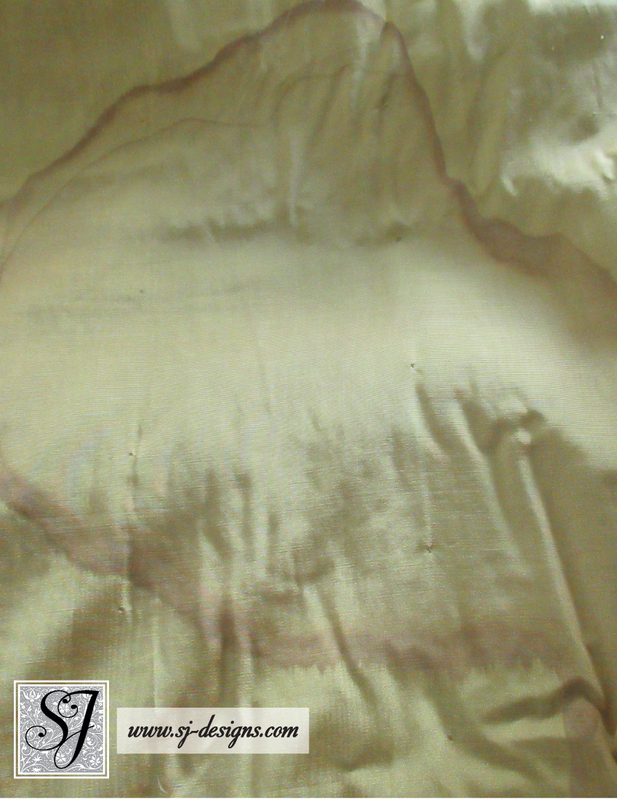 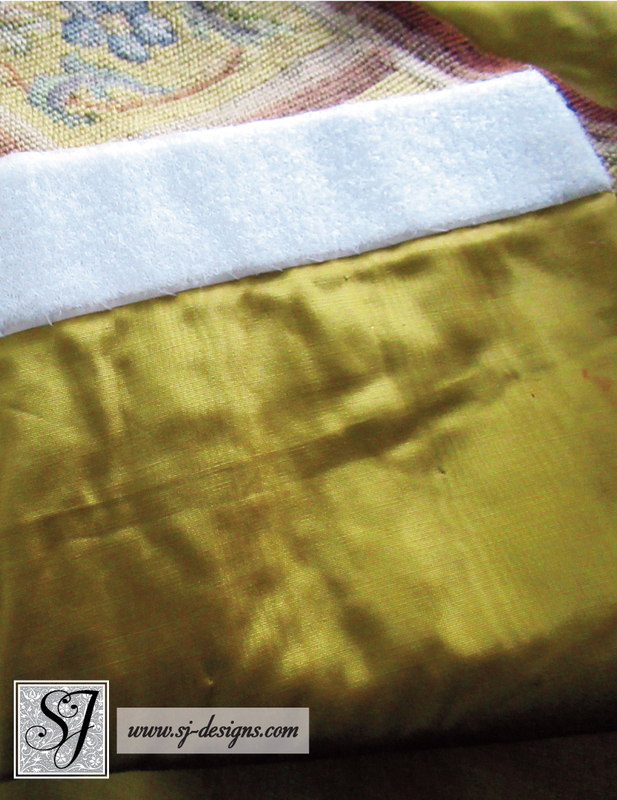 There are accents of gold metallic thread on the ladies’ dresses which has darkened with tarnish.